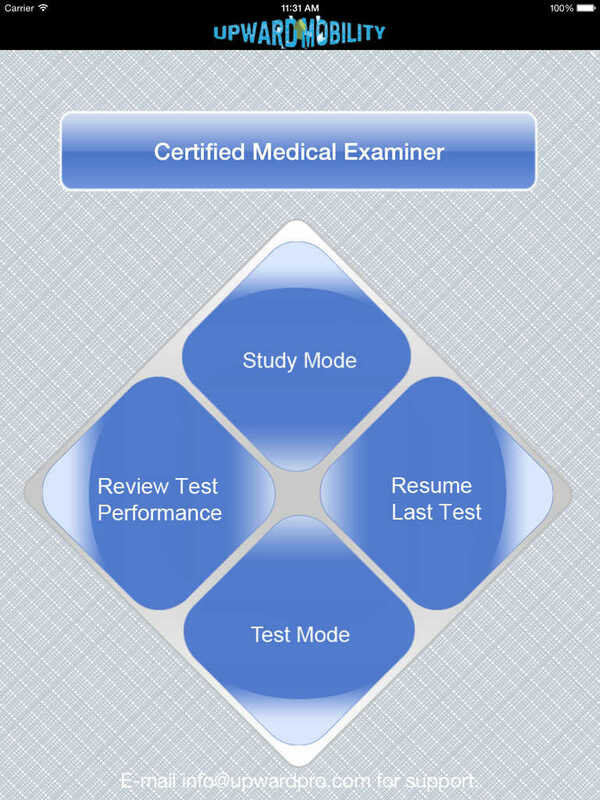 Upward Mobility’s Federal Medical Examiner Test Prep app is designed to prepare you for the Medical Examiner Certification Test offered by the Federal Motor Carrier Safety Administration (FMCSA). 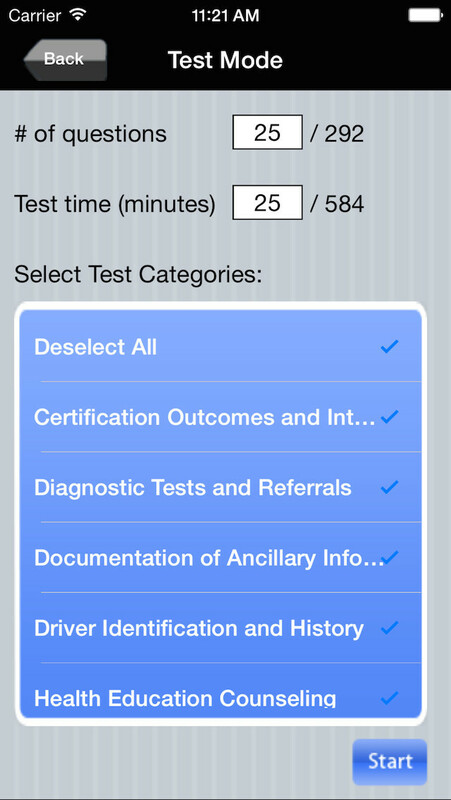 This app is the perfect study aide for health care professionals looking to be able to certify commercial drivers for work by obtaining the federal Medical Examiner certification. Each question comes with an explanatory answer to reinforce the standards and procedures necessary for practical application. All our questions were written exclusively for Upward Mobility by medical experts. 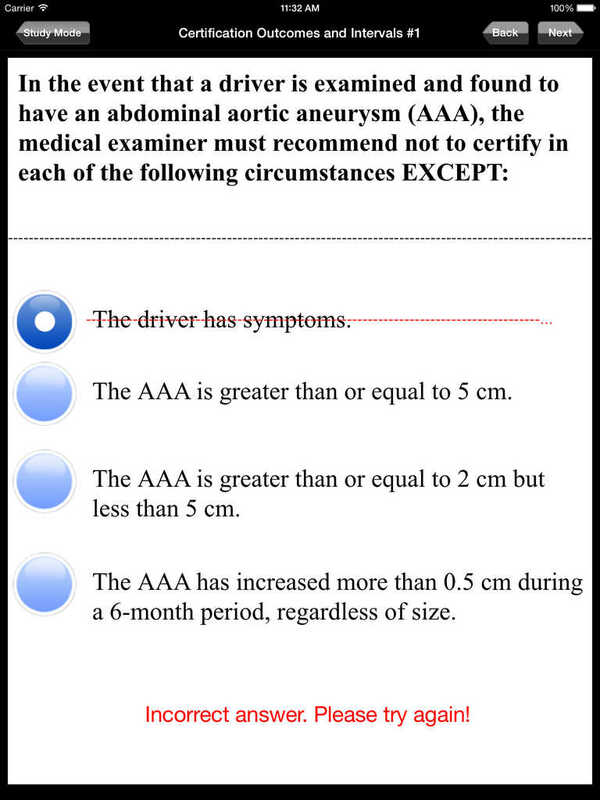 * 300 multiple-choice questions with detailed, helpful explanations on all aspects of medical examination requirements. * Study Mode: Each question is paired with a clear and useful explanation. Study at your own pace! * Test Mode: Designed to simulate the exam experience. Set your own question and time constraints. This app is neither affiliated with nor endorsed by the Federal Motor Carrier Safety Administration or any other organization. Upward Mobility is an independent test-preparation apps company that creates high quality material that is witty and engaging, perfect for on-the-go students and ambitious professionals. All of our content is developed exclusively for Upward Mobility by writers who are subject matter experts and undergoes a thorough review process.